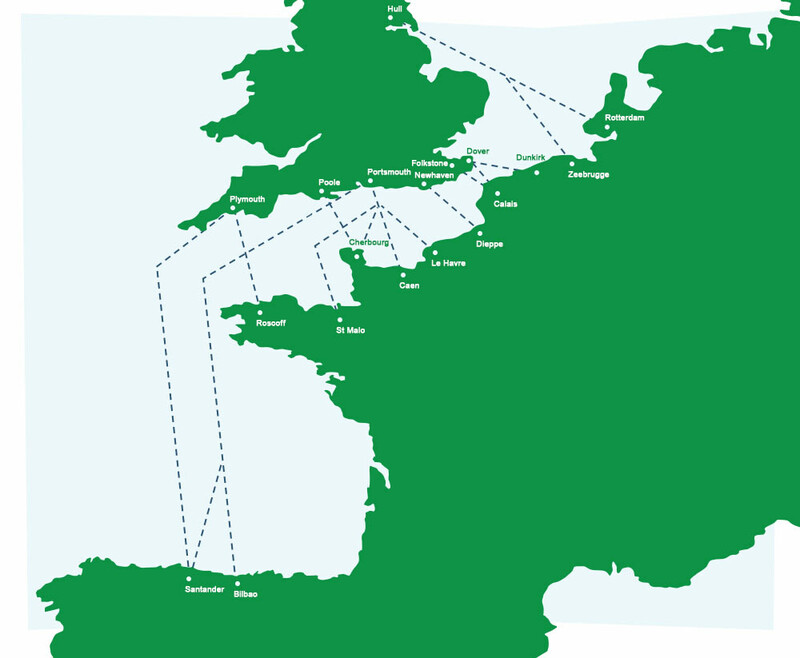 If you have booked with us or are planning a holiday cottage break with cottages.com to France or Ireland we can also help you with your ferry travel arrangements. Below we have listed the route options - please call us on 0345 268 0800 for pricing and availability. Once you have selected your accommodation you will be offered the chance to request a quote for Ferry travel. If you select this option during the booking journey you will be given the opportunity to provide us with as much information as possible about your Ferry requirements. Please see below for more information on operators, crossings, frequency and crossing times. After you have completed your booking online one of our expert staff will give you a call back to discuss your requirements, check the ferry availability and confirm the price. We are confident that we can provide the best ferry price* for your holiday, so much so that if you find the same return ferry crossing cheaper directly with the operating company we will refund the difference. Once you have selected your accommodation you will be offered the chance to request a quote for Ferry or Eurotunnel travel. If you select this option during the booking journey you will be given the opportunity to provide us with as much information as possible about your Ferry / Eurotunnel requirements. Please see below for more information on operators, crossings, frequency and crossing times. After you have completed your booking online one of our expert staff will give you a call back to discuss your requirements, check the ferry availability and confirm the price. We are confident that we can provide the best ferry price* for your holiday, so much so that if you find the same return ferry crossing cheaper directly with the operating company we will refund the difference. *Please note : Service operates via the Channel Islands outbound & inbound - time on land varies dependant on season.